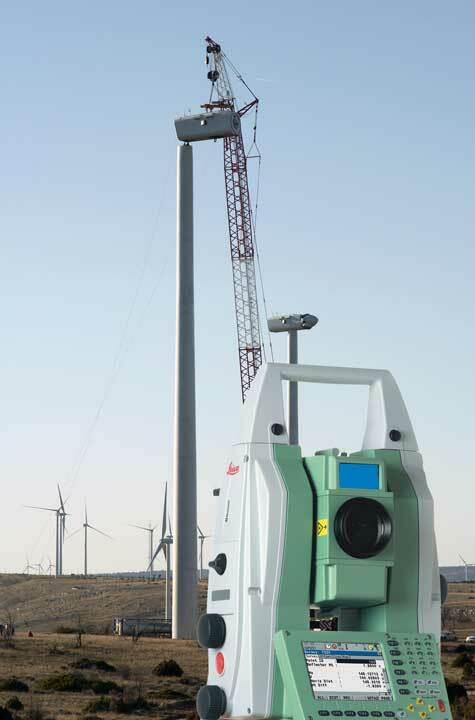 The Leica TDRA6000 Laser Station is a portable inspection system designed for precision measurements on extremely large structures. It has an operational volume of 600 meters measuring 3D coordinates both with standard reflectors, and non-contact (reflectorless). The Leica TDRA6000 sets a new standard for ultra large scale metrology. indoors and outdoors. Their ease of use and one-man operation capability make them the obvious choice for a large variety of metrology tasks in aerospace and shipbuilding as well as general precision applications. 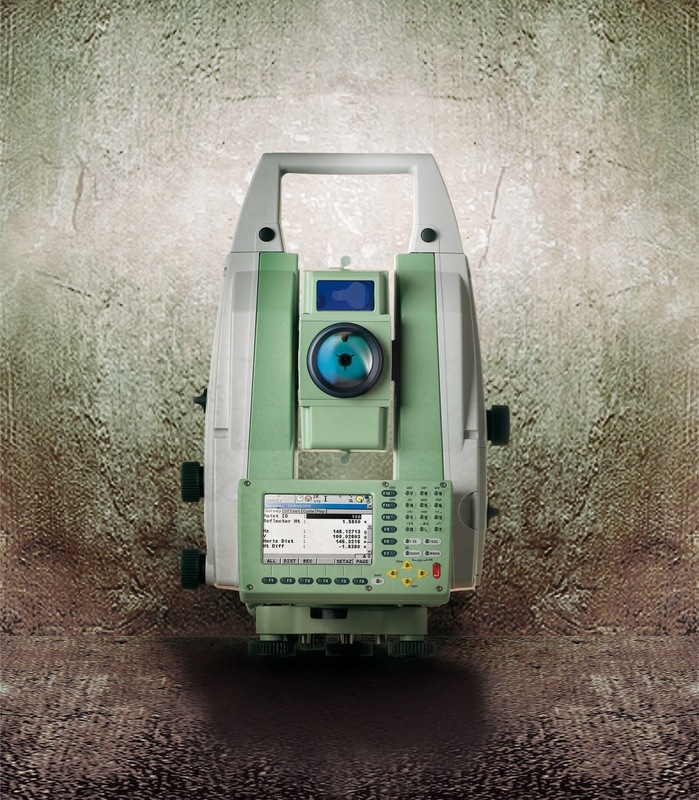 We have spent the last 25 years perfecting the Total Station for use in industrial environments, and the latest Leica Geosystems Laser Station incorporates everything that we have learned along the way. up for the TPS6000 and the AT402 family of sensors. Based on piezo technology, these new direct drives enable high speed motorization and acceleration, at up to 4x our previous generation, but still allow sub micron level fine positioning. This revolutionary piezo technology has very low power consumption and because there are no gears, the drives require almost no maintenance, and are near silent. A new high speed absolute angle encoder paired with our 4th generation Automatic Target Recognition (ATR) technology give the Leica TDRA6000 Laser Station the best tracking performance in its class. This new quadruple angle detection system is accurate to 0.5 Arc Seconds (1σ). The ATR and encoder feedback loop has been optimized for use with 1.5” corner cube reflectors and is specially tuned for use in a 600m volume. The PinPoint Reflectorless Distance Meter allows non-contact measurements within the full 600 m volume, and has a very small visible beam that allows precision measurements on difficult surfaces. This new EDM is based on our proven System Analyzer technology that takes advantage of both phase and time-of-flight information. The System Analyzer accuracy is further enhanced (specifically on corner cube reflectors) by passing the laser beam through a new anamorphic lens. This lens reshapes the beam with an optimized profile and footprint allowing the inhomogeneous peripheral light to be cut off from the laser beam completely. With a typical 3D point uncertainty of 0.25 mm in a 30 meter volume, the new Laser Station Leica TDRA6000 is the most accurate Total Station ever designed for industrial use. Automatic Target Recognition allows the sensor to perform automated deformation studies, as well as track a reflector for single man operations. While the PowerSearch module makes re-locking on to an interrupted reflector as easy as standing still. TDRA6000 is positioned for any challenge, even the gigantic ship building industry. When paired with metrology focused software solutions designed to maximize the measurement throughput, no other sensor can compare to the Leica Laser Station’s range or accuracy. industrial machinery like tire building machines, and process assembly machines. Our sensors have also been the cornerstone of precision roller alignment applications for eaqually as long. Whether you are inspecting or aligning steel mills or paper mills the Laser Station Leica TDRA6000 is the sensor for you. The process of manufacturing and routine inspection for today’s modern trains is not as simple as it used to be. The railway industry has tighter tolerances and higher throughput than ever before. With functions like non-contact measurements (reflectorless) and the highest speed automation on the market, there is no better railway performer than the Laser Station Leica TDRA6000. The tightest tolerances require the most precise sensors, and the Laser Station Leica TDRA6000 is the most accurate of its kind. This is not just a surveying Total Station used for metrology applications, it is an Industrial Laser Station designed for the most demanding and highest accuracy jobs. that the equipment performs at its maximum potential. Whether you are erecting towers or inspecting blades for wind turbines, laying out solar mirror fields, or inspecting Nuclear reactor retrofits, the precision and flexibility of the Laser Station will be welcome changes to your daily work. With a collection of different metrology grade reflectors, adapters and accessories, the Laser Station Leica TDRA6000 can be equipped to measure almost anything. Whether you work indoors or out, the stability of your setup is paramount. Therefore Leica Geosystems has a selection of tripods to make sure that your specific job needs can be fulfilled. All measurements are performed under stable indoor environmental conditions with the target squarely aligned. Distance measurements are verified against a laser interferometer over 120 m. Unless stated otherwise, all accuracies are Maximum Permissible Error (≈ ±3 σ), with typical accuracies being ½ MPE (or approximately ±1.5 σ). The measurement uncertainty of a coordinate “Uxyz” is defined as the deviation between a measured coordinate and the nominal coordinate of that point. This measurement uncertainty is specified as a function of the distance between the Laser Station and the measured point. The accuracy specified below is achieved with Leica Geosystems 1.5” Red Ring reflectors and the “Precise” measurement mode. Specifications are stated in Maximum Permissible Error (MPE). Typical results are ½ MPE.